The prices bellow are the final cost. This price does not include the optional insurance. The maximum value in dollars that you can declare is for the items inside te box cannot exceed the total of $1,000.00. Restrictions may apply. 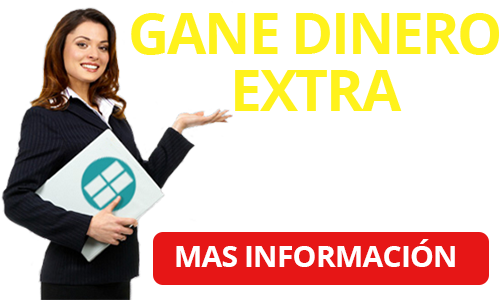 If the client does not purchase the additional/optional insurance and if a parcial or total loss occurs, USMEX Express and its general company is not responsible for the value of the items shipped. USMEX Express will re-imburse a maximum of $100 USD in case of total loss. Certain restrictions may apply. The purchase of the additional insurance it´s the 7% of the declared value of the items/products inside the box (maximum declared value it´s $1,000 USD) with a 20% deductible. Any claim for loss or damage has to be documented and written to us no later than the next 3 days after receiving the package. For any claim the client has to present the proof of purchase of the item(s) he/she is sending. We reserve the right to accept or reject the proof of purchase documentation. Hides and skins of animals. Glass, in all its presentations. Laboratory samples (toxic, hazardous or special handling). Foreign goods without import documents. Narcotic Drugs and Psychotropic Substances (basic chemicals and chemical precursors). Toxic items, irritants and infectious substances. Shipments above $ 1,000 USD. By general rule any restricted product or item by laws and regulations of the IATA (International Air Transport Association). 1). Prepare an online guide or on paper. Fill the online guide or print it and fill it by hand to be completed and signed. Make sure to send an e-mail or fax (Fax:. 888-810-8502, info@usmexexpress.com. Summit the information online. Keep a copy for your records. Make sure to sign or click, the acceptance of the terms and conditions for shipping. 2). Calculate the price for your package. PAY BY CREDIT CARD online by completing the form or print the written sheet. We will call you for your payment authorization. 3). Minimum weight to ship is 1-10 pounds and the maximum weight is 150 pounds. 4). Deliveries to Mexico usually takes 15 business days. This is, not counting weekends or holidays. For some remote areas the delivery service make take a few more days. 5). Shipping in used boxes are acceptable but the box has to be strong, sturdy and well sealed on the top and bottom. Please check through, cover or remove old labels, address and any previous shipping labels (bar codes, etc.). Please do not use boxes that had food, eggs, meat products or plants in them. 6). Please do not tie your boxes with ropes or using duct tape or masking tape. Use clear or brown tape. 7). Please make sure that the box has enough packing material - polyethylene peanuts move during the trip. We are not responsible for the condition in which the packages arrive if they have not been packed correctly. Packages are not repackaged before entering Mexico so make sure that the content can travel without being damaged. 8). When you complete the Shipping Guide by hand or online ... We will send a shipping label by fax or email to be taped on the outside of the box, which will be collected the next business day. 9). Please DO NOT write the Delivery Address in the exterior of the package. 10). You can combine any type of item in the same package, just make sure that is well packed. The cost for shipping for Mexico All Included includes taxes and duties. For Mexico 3, Mexico 7, or the rest of the world shippings. The receivers must pay taxes and duties. 11). Everything is passed though x-rays at least once before arriving to its final destination. 12). Eliminate all the empty spaces inside the packages and place the heaviest objects at the bottom. Reposition the content to fragile items are cushioned by items such as clothing, etc. Make sure of not to leave empty spaces inside the boxes. LIMITATIONS ON OUR LIABILITY AND LIABILITIES NOT ASSUMED: Our liability in connection with your package shipment is limited to the lesser of your actual damages up to $100.00 (dollars). This DOES NOT include the cost of shipment within the United States and within the country of Mexico. Additional insurance is available and optional, with a 20% deductible, which can be purchased at the rate of 7% of the declared value. The actual loss for any damage claim must be documented in writing within 3 calendar days of reporting a package lost or fully damaged and proof of value must be provided within 3 calendar days thereafter. We reserve the right to accept or reject proof of value documentation due to any fraud detected. We do not insure document deliveries. All Insurance coverage applies to total loss of shipment inside the United States and in Mexico. The declared value does not constitute, nor do we provide, cargo liability insurance. In any event; we will not be liable for any damage, whether direct, Incidental, special, or consequential in excess of the declared value of a shipment whether or not LingoDocs LLC (USMEX Express), it’s Third Party “Shipping Service Providers”., Its employees, and its agents and assigns had knowledge that such damage might be incurred Including but not limited to loss of income or profits. • loss, damage, or delay caused by events we cannot control, including but not limited to Acts of God, perils of the air, weather conditions, acts of public enemies, War, strikes, civil commotions, or acts of public authorities with actual or apparent authority. FILING-A CLAIM: If you have a claim regarding your shipment you must notify USMEX Express, in writing within 3 calendar days of reporting a package lost or damaged and you must provide proof of value within 3 calendar days thereafter. All claims must be in writing. There is no obligation to act on any claim until you have paid all charges associated with your shipment and you may not deduct the amount of your claim from those charges. If the recipient in Mexico or Latin America accepts your package without noting any damage on the delivery receipt record then we will assume the package was delivered in acceptable condition. To process a claim of damage or loss after delivery you must make available the original shipping cartons and carton packing for inspection. All claims and judicial procedures must be filed and conducted in the United States and in the Independent Agency/Distributor you visited. DELIVERY TO RESIDENTIAL LOCATIONS: Shipments to residential locations may be delivered without obtaining the recipient's signature. RIGHT TO INSPECT: All packages and contents might be inspected at any time and rejected. RIGHT OF REJECTION: We reserve the right to reject a shipment when such shipment is prohibited by law or international treaty or if the shipment would violate any of our terms and conditions.